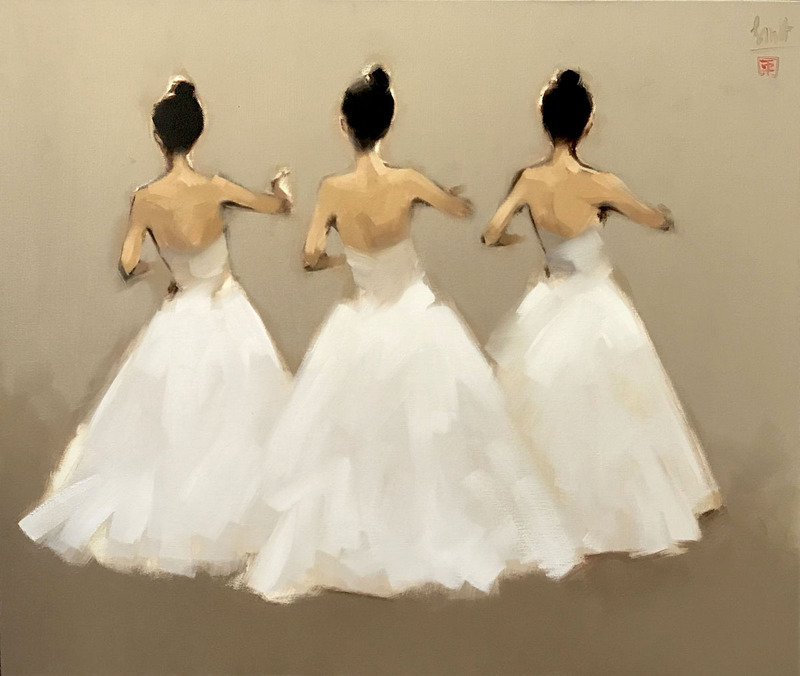 One of the most challenging tasks in art is to capture movement. 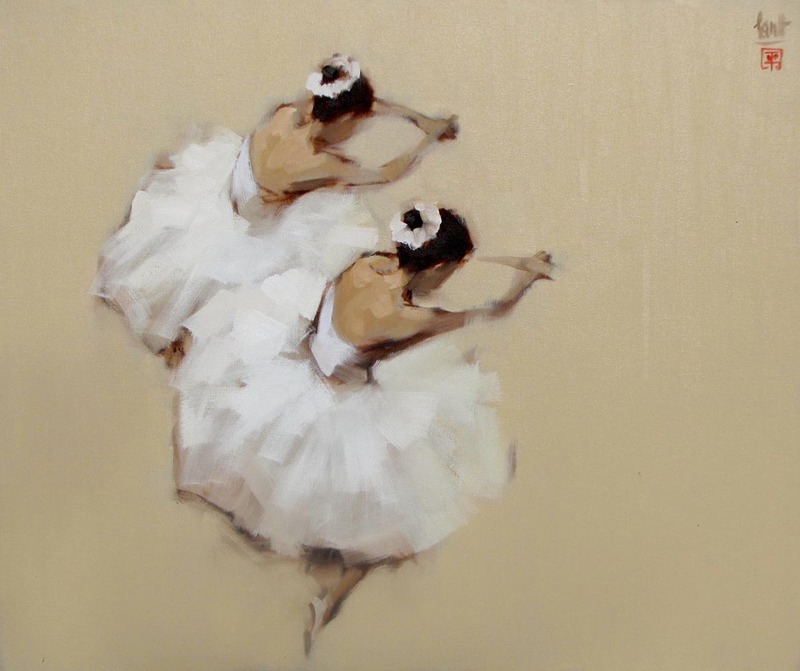 This makes ‘dance’ to be an attractive topic for many masters. 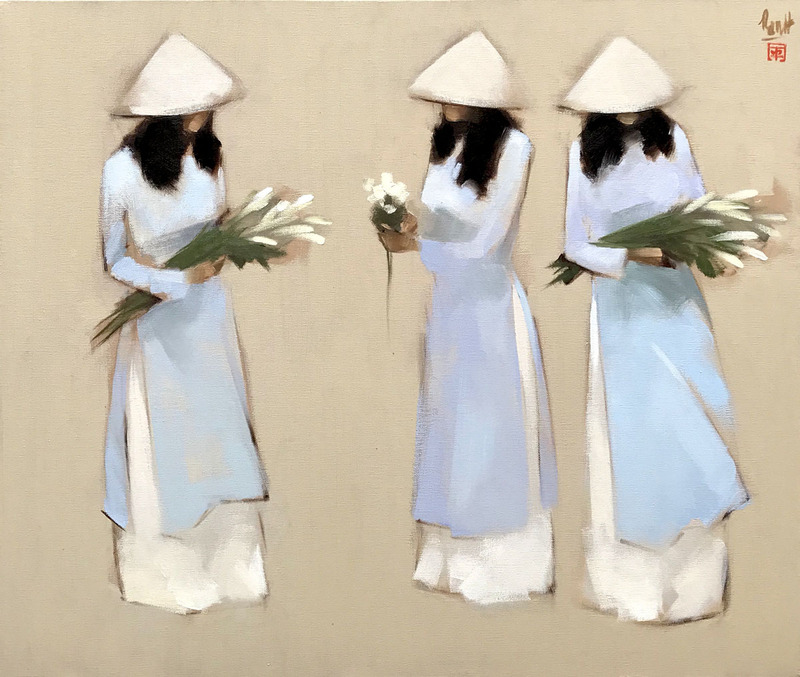 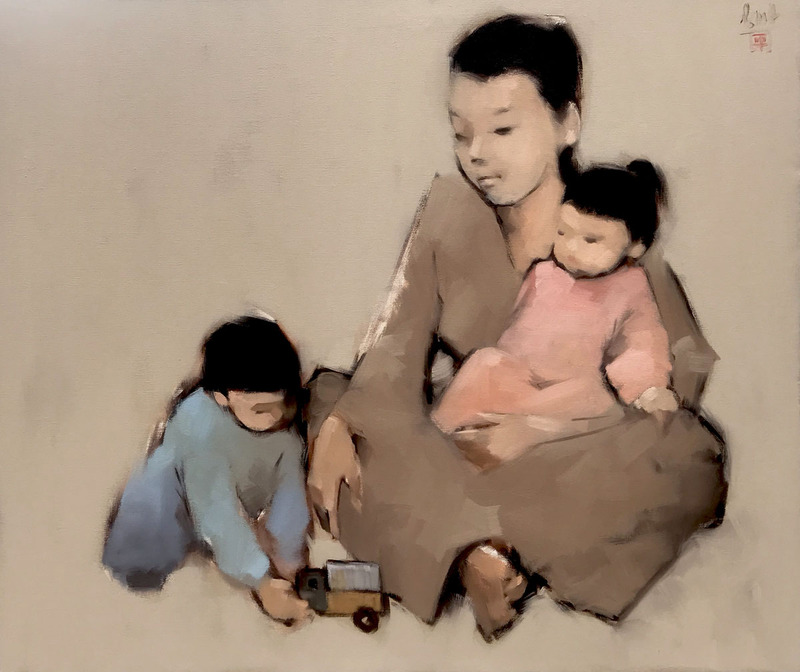 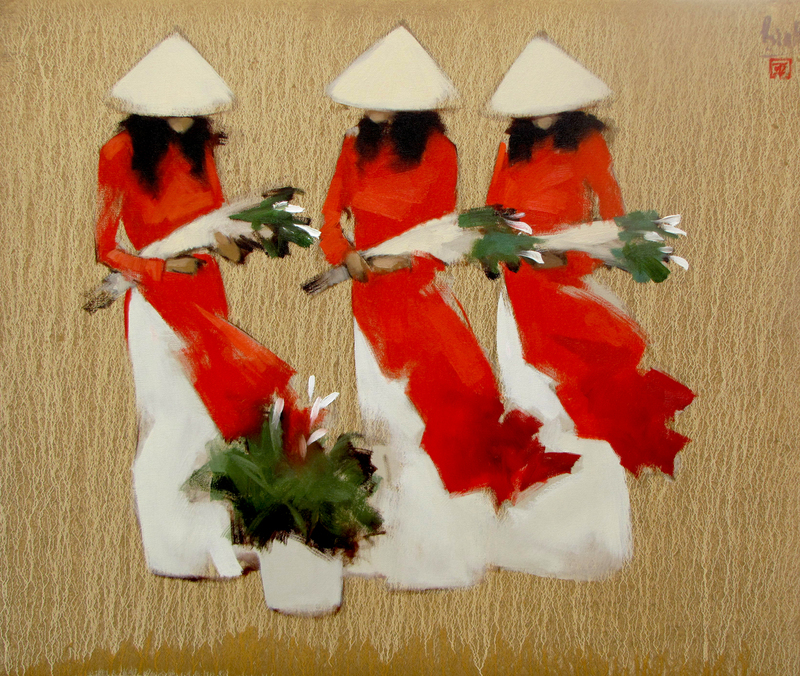 The featured untitled contemporary Asian painting by Nguyen Thanh Binh, hypnotizes viewers with noble laconism of the color palette and the plasticity of the ballerinas’ poses.